Within the Develop 100: The Tech List, Unreal Engine 4 was just recently voted to be the best gaming engine. Unreal Engine 4 was developed by Epic Games over the course of roughly nine years. The engine itself is generally meant to be utilized on eighth-generation consoles, PC’s, and Tegra K1-based devices running the Android OS. What sets Unreal Engine into the realm of praise is some of its unique features including advanced debugging (which can help developers easily edit source code in real time), a major reduction in iteration time, and the ability for developers to directly update C++ code into the game they are working on. Although Unreal Engine 4 took years to develop, it surely has emerged to be fairly impressive and deserving of the aforementioned title. Those who voted for the best gaming engine included over 45 individuals consisting of technology experts, indie developers, and aficionados from various other fields within the relative industry. In addition to taking home the title of the best gaming engine, Unreal Engine 4 also was ranked second in the overall best gaming technology listing. In this respect, Unreal Engine 4 was defeated by a credit-card sized computer known as Raspberry Pi. Within this macro-scale list of the best gaming technology, other well-known gaming engines were included as well. Some of these engines to honorably mention include Unity 5 (No.3), CryEngine (No.11), and Havok Engine (No.17). There are plenty more to name, not to mention the whole list also features well-known gadgets including consoles each listed with their own rank. I highly urge readers to take a look through the full list which I have linked below. Evidently, Unreal Engine 4 is representing its title as the best gaming engine by continuing to advance. Last month, it was revealed that Unreal Engine 4.2 supports the Project Morpheus for the PS4 and for the PC. Undoubtedly, the gaming community can expect Unreal to continue to advance and pave the way for the support of future titles and devices. 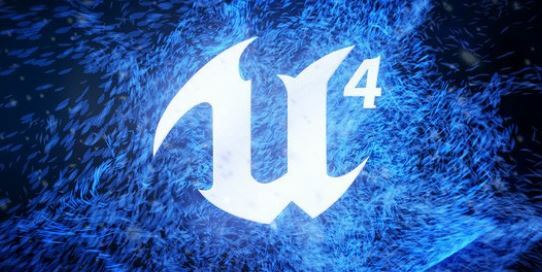 In fact, a fair amount of games that are set to be released in the next couple of years will be running on Unreal Engine 4 (see link below to full list). Of course, many are anxious to see how well Unreal Engine 4 has improved gaming capabilities and visuals on a large empirical scale. A nice preview of what the engine can improve was shown by a YouTuber known as “noodlespagoodle” about two months ago when he took some models and a small environment from BioShock and had them running on Unreal Engine 4 (see link below). All said and done, I feel like Unreal Engine 4 is worthy of the title it was given. Seeing as how far it has come along, it is fairly likely that its progress will continue to extend to the clouds.